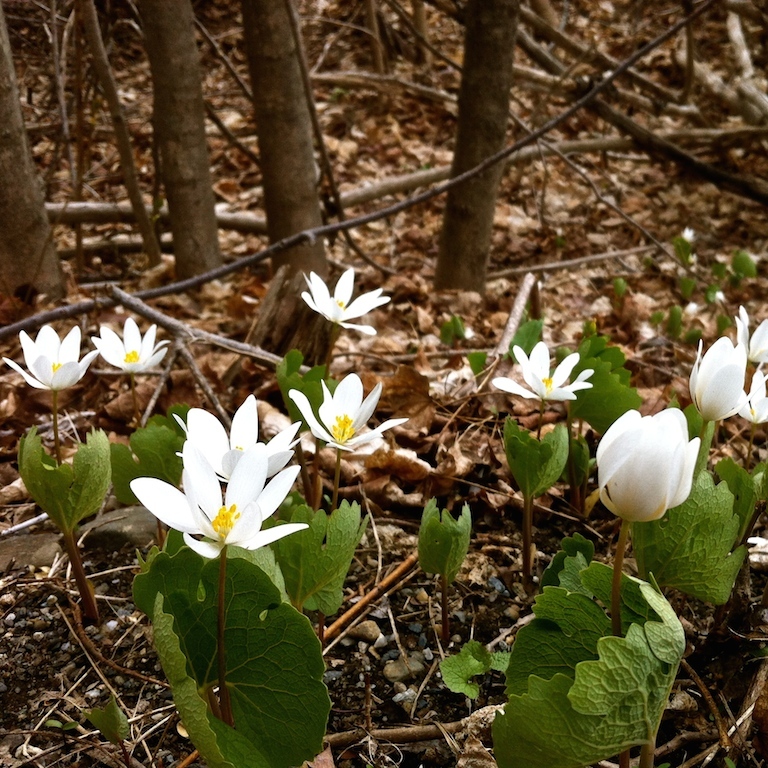 A small band of bloodroot arises from the forest floor, their leafy cloaks wrapped around them. 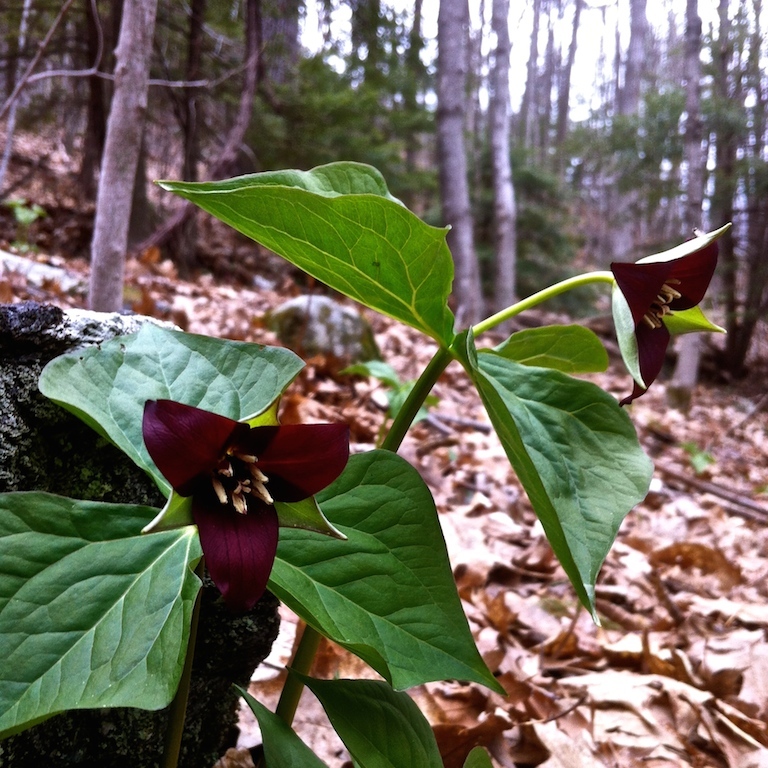 One of the first wildflowers to grace the damp forest floor, the red trillium makes a welcome sight in the bright spring sunlight. 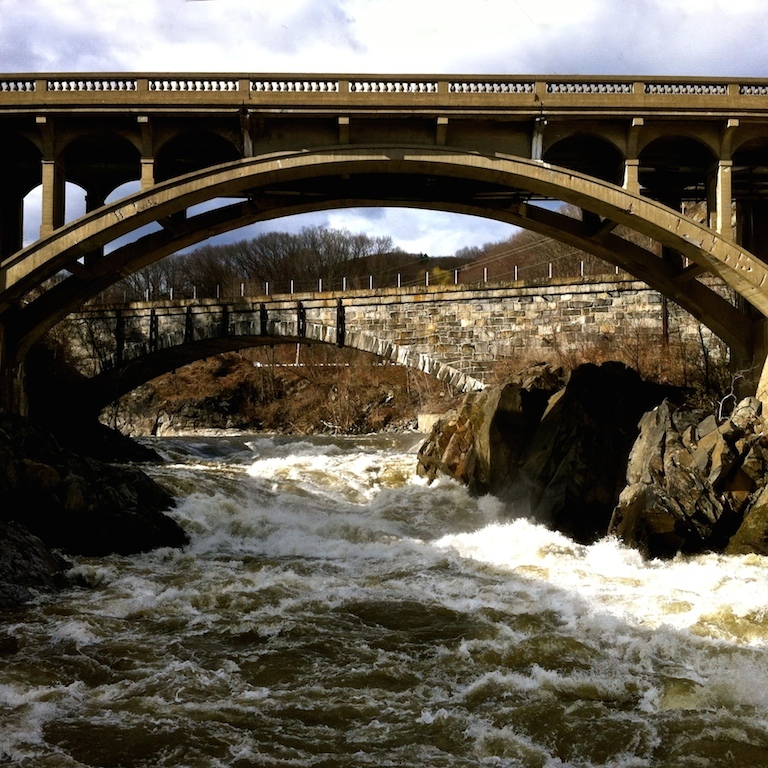 High water charges beneath the twin bridges at Bellows Falls on the Connecticut River. 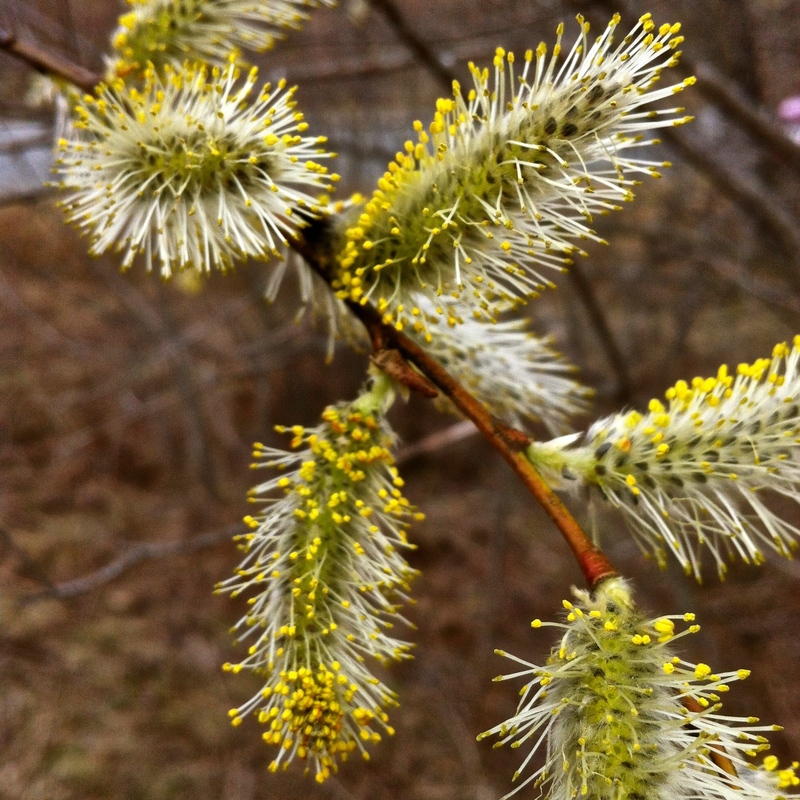 The male flowers of the American willow (Salix discolor) have opened with furry fanfare. 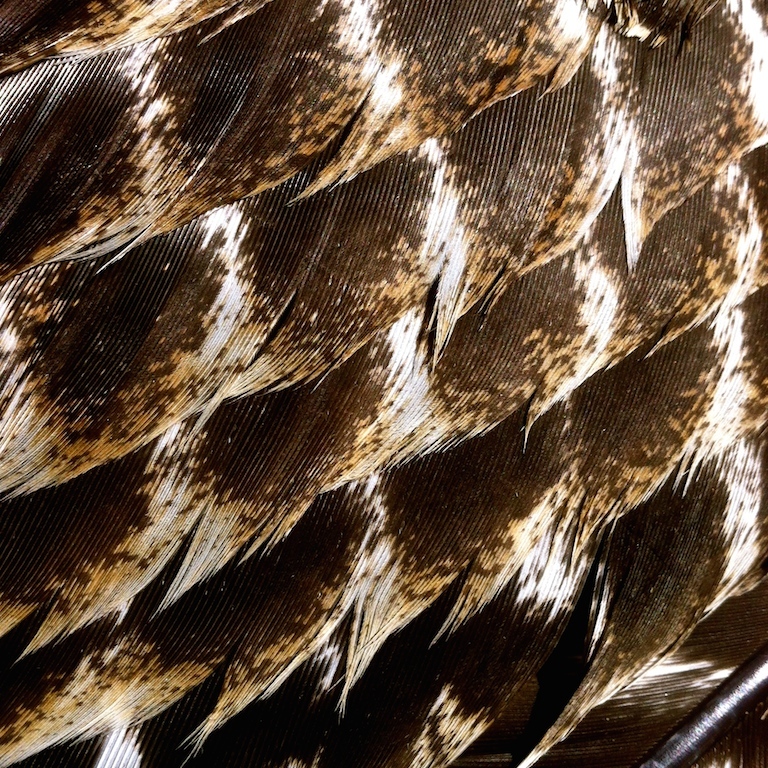 The patterned feathers of a young wild turkey, found at the edge of the meadow where it walked its last moments. 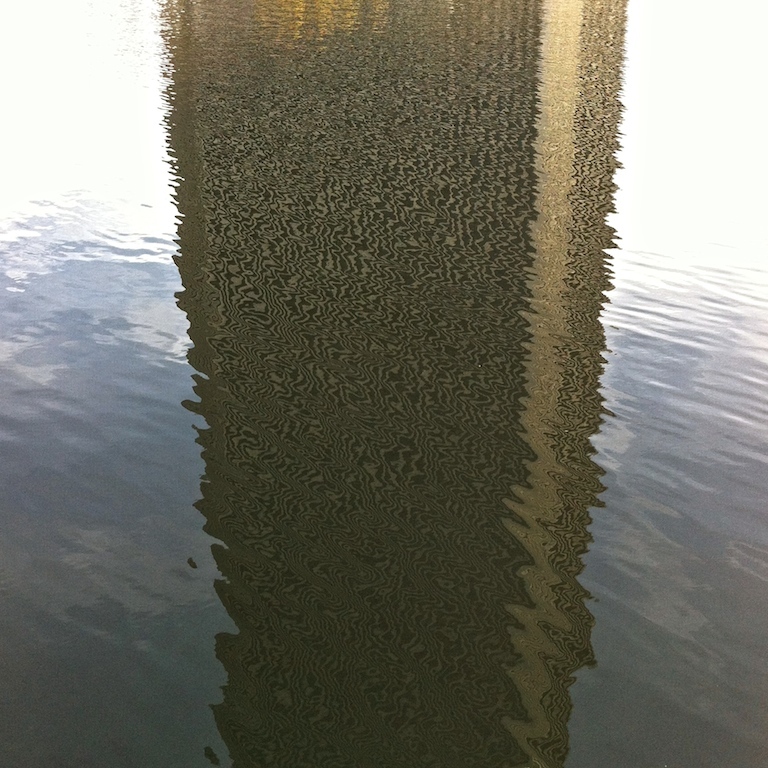 An office tower in the New York State capital complex at Empire Plaza is deconstructed in the reflecting pool. 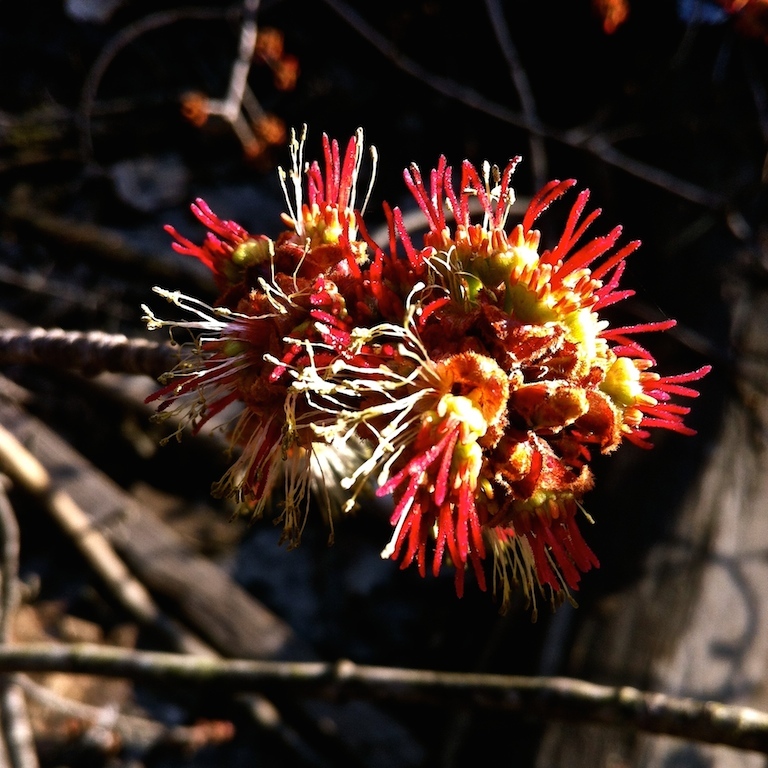 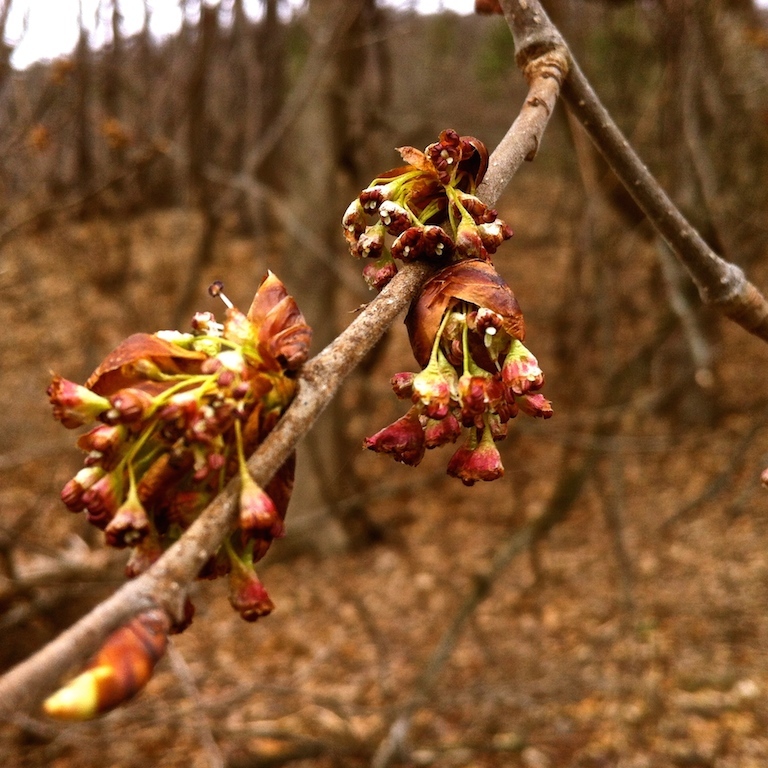 Flower buds on an elm begin their surprising display.